It’s a known fact that Nepal is a global destination for the world’s beautiful icy mountains, tourism, adventurous and scenic spots that passionate photographers always wish to capture through their captivating camera lenses. In a major update for Nepali lovers, two important international photo exhibitions focused on Nepal are currently underway. While one is called ‘Nepal through Australian volunteers’ lens’ organized to celebrate the International Volunteer Day 2017, the other is ‘International Photography Competition on Nepal’ that focuses on promoting Nepal tourism. This photo exhibition, being held in Kathmandu at Lalitpur-based Nexus Culture, is showcasing the experiences of Australian volunteers deployed in Nepal under the Australian Government’s Australian Volunteers Program (AVP). In his inaugural address, the Australian Ambassador to Nepal Peter Budd informed that the Government of Australia has mobilized 229 Australian volunteers to support Nepal in achieving its development goals. The exhibition is being held during December 18-25, 2017. AVP is a Nepal-Australia joint initiative under which AVP has deployed volunteers in Nepal supporting the latter’s developmental objectives. This is a first-of-its-kind photo exhibition event focused on promotion of Nepali tourism. This six-day photography event, currently underway in China, is expecting a minimum of 600,000 tourists from across the world, and is being held to mark the first anniversary of the establishment of sisterly relations between Kathmandu Metropolis and Chengdu city. 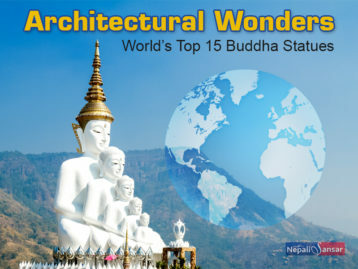 The event has on display photos that promote tourism, tradition, art and culture of Nepal. Inaugurating this international photo competition, the Nepali Ambassador to China Leelamani Paudyal said the photo exhibition would serve as a milestone for tourism promotion. Nepal Tourism Board’s media expert Sharad Pradhan feels that the event would help Nepal in attracting more number of tourists. The event is currently underway at the Chinese tourism hub called Wide Narrow Ale.